All is calm in the enchanted coral reef. 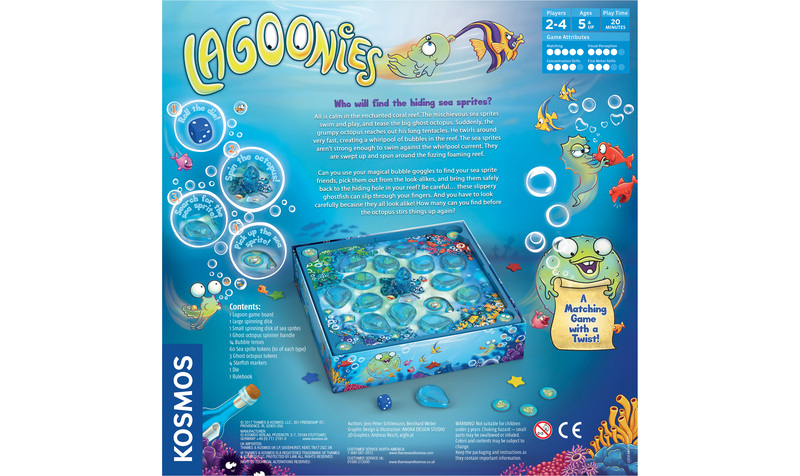 The mischievous sea sprites swim and play, and tease the big ghost octopus. Suddenly, the grumpy octopus reaches out his long tentacles. He twirls around very fast, creating a whirlpool of bubbles in the reef. The sea sprites aren’t strong enough to swim against the whirlpool current. They are swept up and spun all around the fizzing foaming reef. 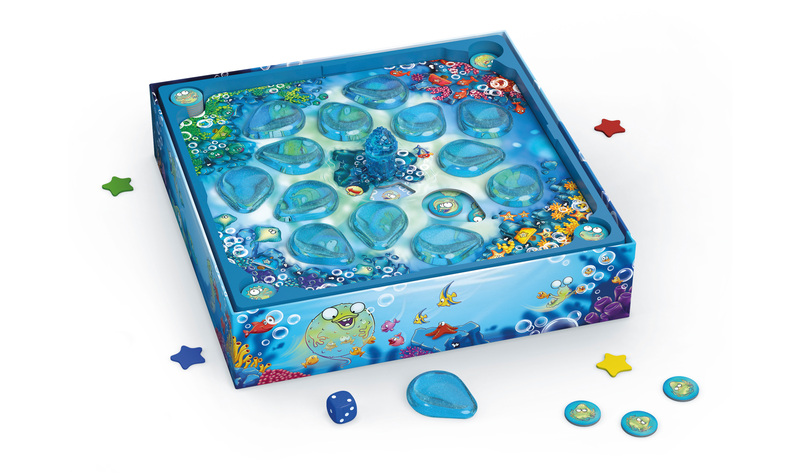 Can you use your magical bubble magnifying lenses to find your sea sprite friends, pick them out from the look-alikes, and bring them safely back to the hiding hole in your reef? Be careful… these slippery ghostfish can slip through your fingers. And you have to look carefully because they all look alike! How many can you find before the octopus stirs things up again? 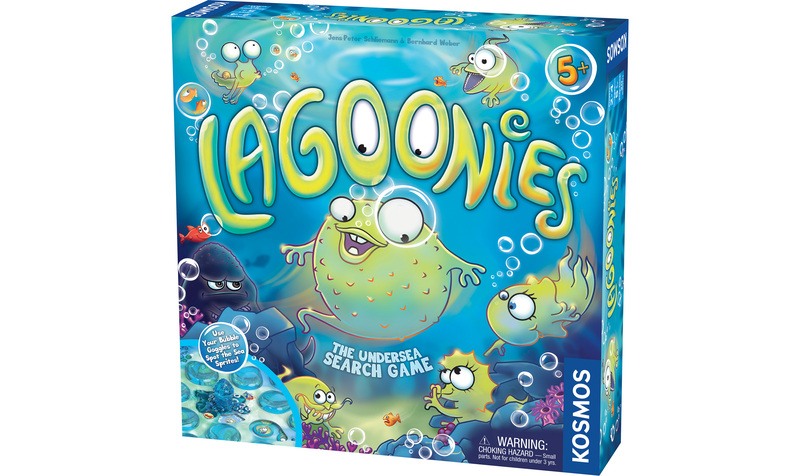 Lagoonies is a unique game that helps children practice their skills in visual perception and visual discrimination as well as fine motor skills.